One of the problems with crazy blood sugar is breakfast. My fasting glucose level determines what second breakfast will be. Second breakfast? Yes, on mornings when I go to CrossFit, I always have my favorite mocha shake. I drink half on the 30 minute drive there, finish the other half while getting ready in the locker rooms. It’s important to get protein and carbs in my system within 30 minutes of a hard workout. But second breakfast is very important. Eating every 3-4 hours is crucial to prevent crashes and spikes. I finish my shake at 6:15-6:30, but I need something more substantial before lunch. When I pack my lunch, I always have stuff to make oatmeal with almond butter and granola. But if my fasting glucose is higher than normal—my normal is 120-130—then I need a high protein meal. That’s where these come in very handy. I make a batch on Sunday and use them by Friday. They are easy to make, store and eat. 1. Preheat oven to 360. 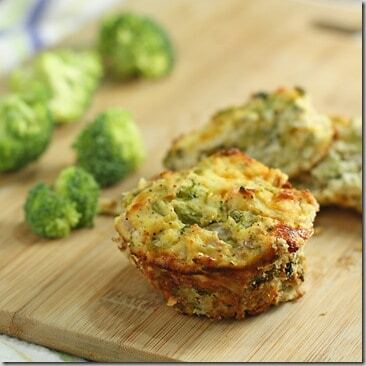 Oil a 6 cup large muffin pan or 12 cup small muffin pan. 2. Saute onion in the oil. Add to a large bowl. 3. Add eggs and egg whites to onions. Mix well. 4. Add the rest of the ingredients and mix well with large spoon or spatula. 5. Divide into muffin pan. 6. Bake 45-50 minutes until tops are brown and centers no longer jiggle. 7. Remove and let cool about 15 minutes before removing from pan. Use a knife around the edges to loosen. 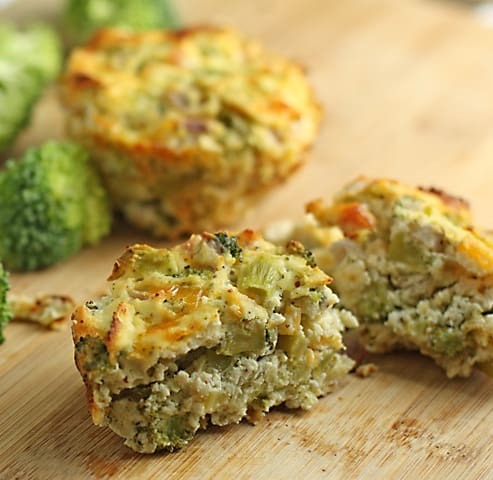 I’ve been looking around for new ideas for breakfast muffins… this sounds wonderful. Going to try it for the week. NO FLOUR. These are more like mini crustless quiches. Do you happen to know tge nutritional values for these? Thanks! I just made these… Yummy!! I sautéed the onions and added chopped celery and orange pepper and sautéed them too then added chopped rosemary to the mixture before baking them. I love warm rosemary in the winter. Great idea! We have it here in some grocery stores. It is ricotta made from part skim milk. I usually try to get fat free ricotta, but if I can’t find it, I use “part skim”. what is the calorie count on these and the serving size!? I just wanted to thank you for this recipe. I made these muffins for my 8 year old DD who was diagnosed with Type 1 Diabetes last year, and she loved them! Having this option for breakfast or late afternoon snack when coming off the bus is fabulous! I’m always trying to come up with yummy breakfast foods that won’t send her BS souring and this one is a winner! This looks like a fabulous recipe. Have you tried freezing these ? How are they when you heat them up quickly in the microwave ? I’m looking for healthy on-the-go breakfast ideas for my husband who is also diabetic. qualified and licensed for your termite species needs. i made these and they were pretty good. They desperately need salt. I also added in a few drops of hot sauce and fresh black pepper. can I use feta cheese instead of ricotta? If not, what can I use instead of ricotta?